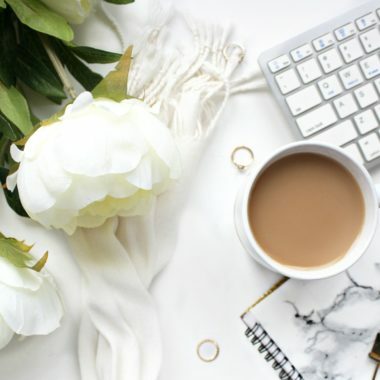 It’s important in our lives to do as many kind things as possible. Some people don’t believe this, but I think the reason for our existence is to help one another. 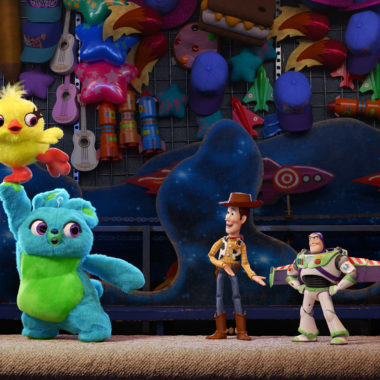 It doesn’t have to be big acts of heroism. It’s the little things that matter. You’d be amazed at how a simple act of kindness can change a person’s day or even change their life. It’s something that we, as individuals, should be practicing and something that we should be teaching the new generations. 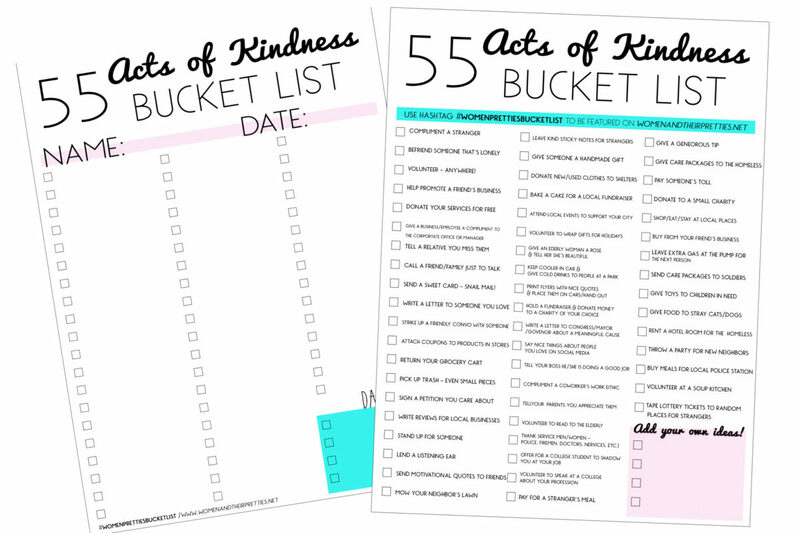 This is my 55 acts of kindness bucket list. 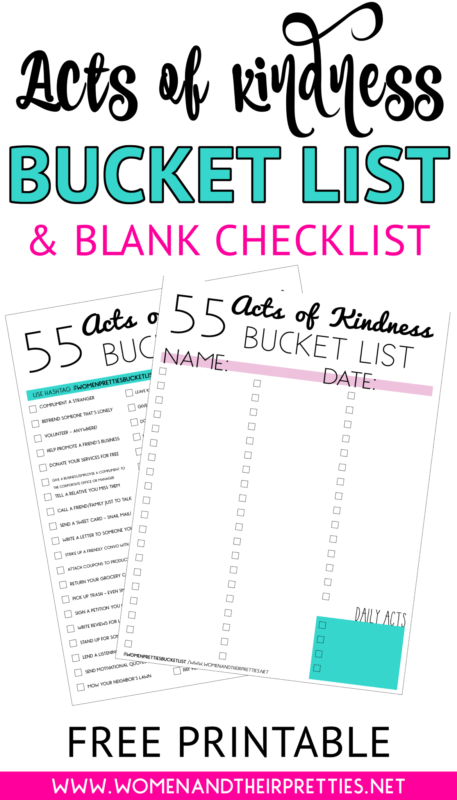 You can even get this free bucket list printable and blacj checklist printable to check off all of the 50 acts of kindness! It’s something fun to do as a family, individually, or with friends. 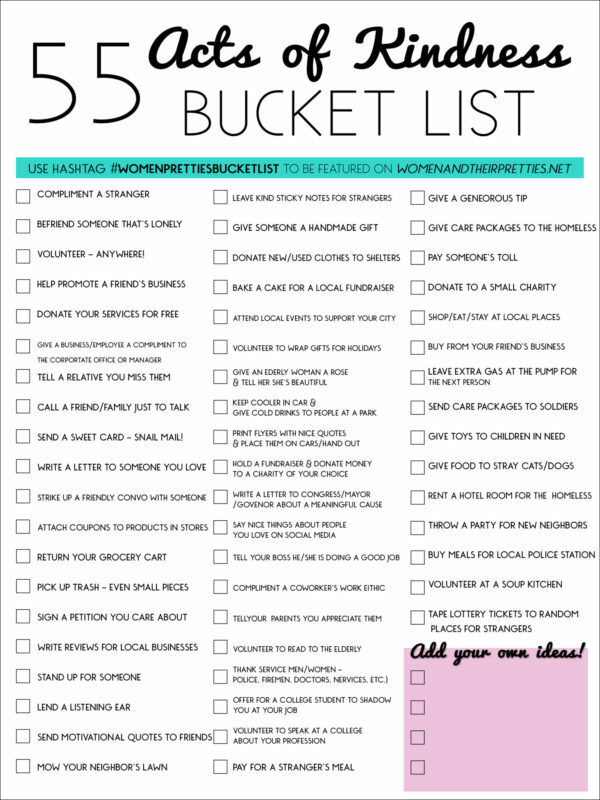 If you plan to use my bucket list or checklist, please show us your acts of kindness! 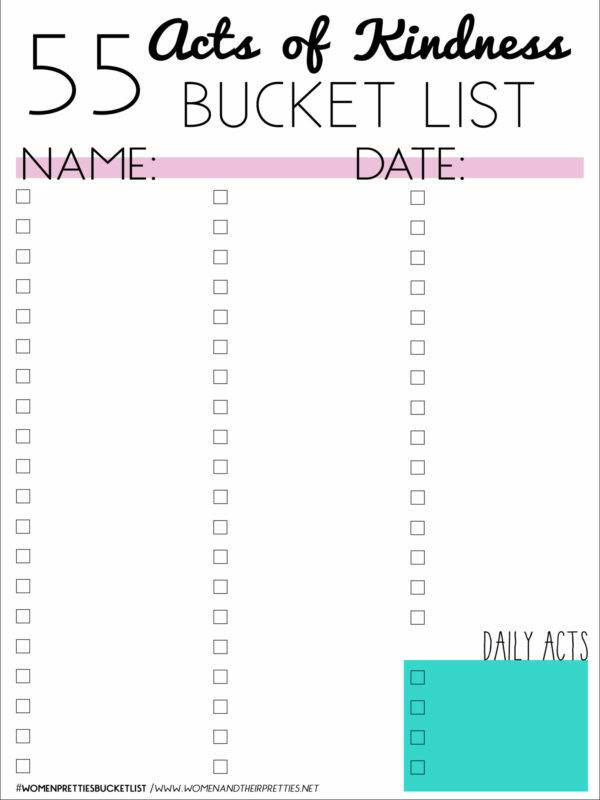 Use the hashtag #WomenPrettiesBucketList and I’ll share your posts on social media and possibly, on my blog!